QUESTION: Mr. Armstrong; You have mentioned that when money was gold and silver in ancient times, there was the problem of shaving the genuine coins as well as counterfeiting them. 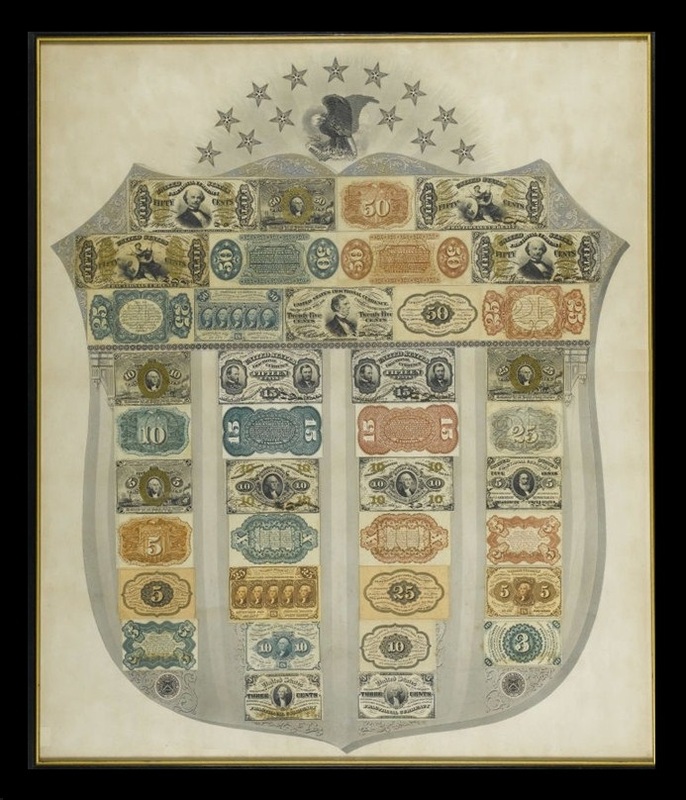 I have seen counterfeit shield for US fractional money during the 19th century, where there examples such as that to distinguish genuine from counterfeit coins? PS Your site is fascinating. The wide range of subjects covered is real food for the mind. ANSWER: No, there were no examples as was the case with the counterfeit shields that were produced and sent to the banks in the United States. 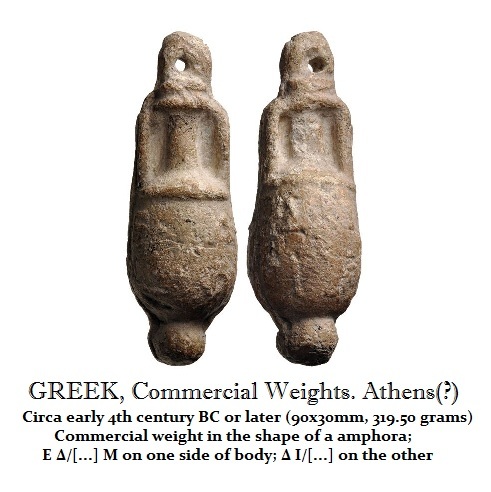 What has survived are commercial weights such as this one from our collection in the shape of an amphora from ancient Athens. This is rather heavy weighing 319.50 grams so it was not used for coins, but a standard weight in commercial transactions. 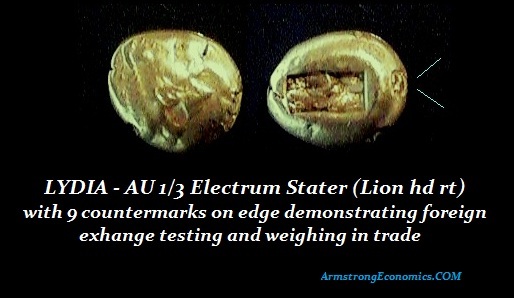 Above is an Exagium, which is to weight and verify coins. 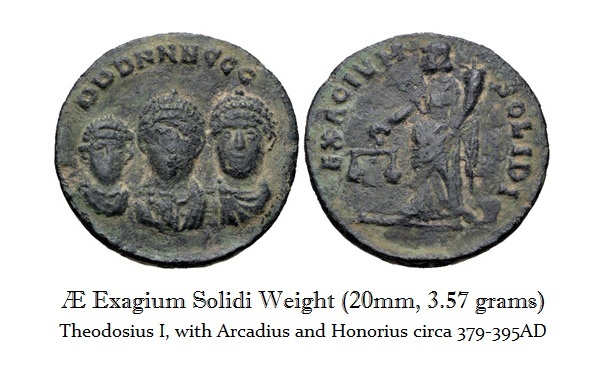 The was the weight of a gold solidus so one would test the coin against this weight. The Greek banks tended to put test cuts directly into the coin to ensure it was real. 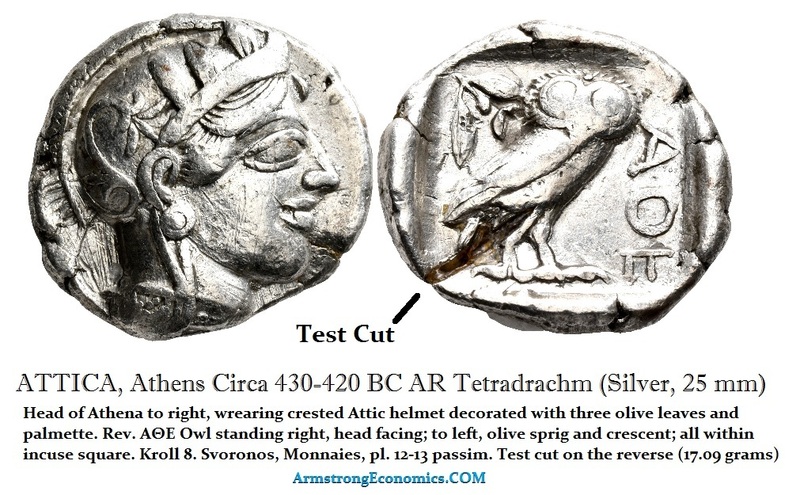 It is common to see this type of test cut deep into the Athenian silver Tetradrachms. In Contrast, the even ancient bankers relative to the Athenians more than 200 years before would place a stamp on the edge of the coin of that banker. Here is a coin from Lydia who nine banking marks showing the coin saw a lot of circulation. 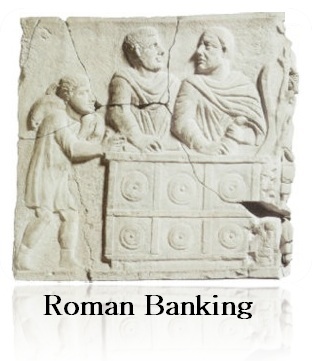 The Roman bankers used a different method. 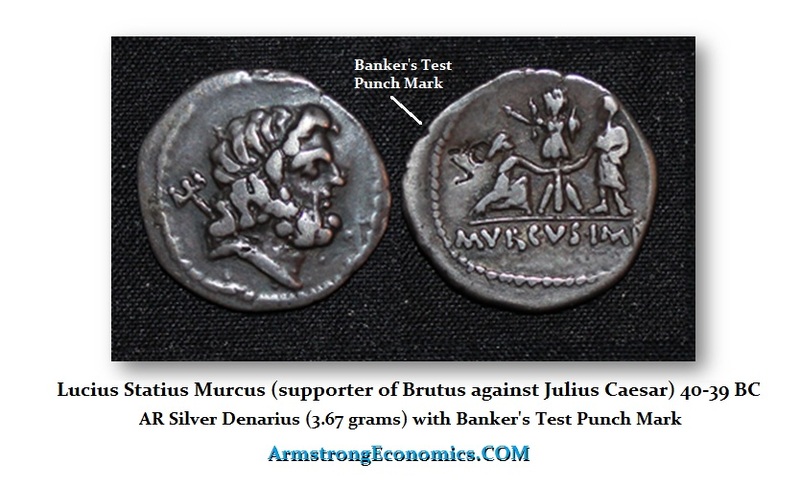 Instead of cutting the coins the bankers would us a test punch mark. Some appear to have been more elaborate and the punch mark was probably their initials so they knew they tested the coin previously. By the Middle Ages, this problem of dealing with counterfeit gold and silver coins is what began banking. You would deposit your coins in the bank and then this began gyro banking. You would effectively write a check transferring money from your account to another. There was no testing of every single coin to complete the transaction. This was the real impetus behind banking to reemerge after the Dark Ages.